Trampling Aaron Judge, Ken Griffey Jr. reigns supreme in MLB The Show 18's brand new three-inning mode in the face off video series. 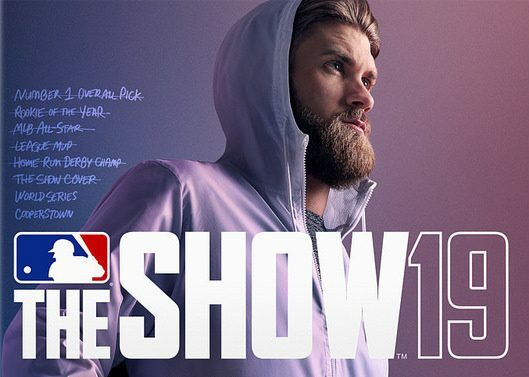 Roughly a week ago we got a trailer showcasing the brand-new MLB The Show 18 mode which offers rushed gamers the opportunity to play quick, three-inning games.To show off that mode in action, publisher Sony got two big-name athletes–Ken Griffy Jr. and Aaron Judge–to sit down and duel it out. Predictably, Baseball Hall of Fame Member Ken Griffy Jr. played as the Seattle Mariners — no surprise given he spent 11 years of his tenure with the team. Meanwhile, Rookie of the Year Aaron Judge represented the New York Yankees, just as he does in real life. The game, which is boiled down to just under two minutes in the video below, ends with Ken Griffey Jr. ending the third inning with a 4-2 lead. Even better, Judge’s final out is an easy out against virtual Aaron Judge. Likely staged, but most definitely poetic. 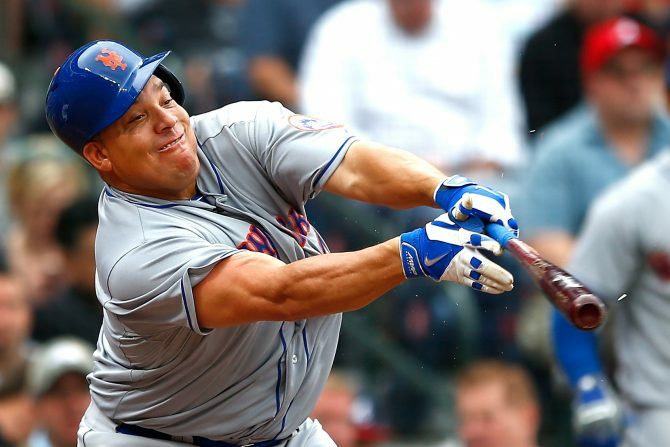 Of course, anyone that follows MLB The Show series should be familiar with both athletes. 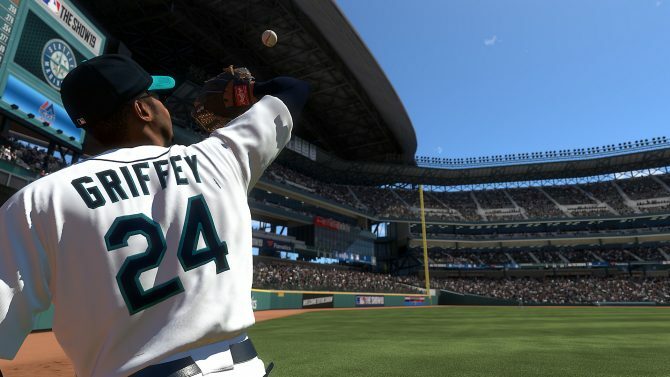 On one end, Ken Griffey Jr. was the cover athlete for MLB The Show 17 with the collector Hall of Fame Edition and pre-order bonus being entirely centered around the all-star player. 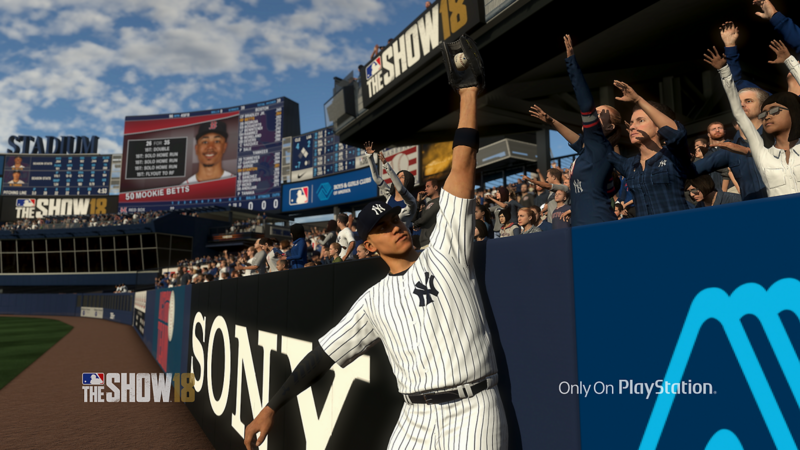 Meanwhile, Aaron Judge headlines the cover image for MLB The Show 18. In essence, this face-off seemed inevitable. 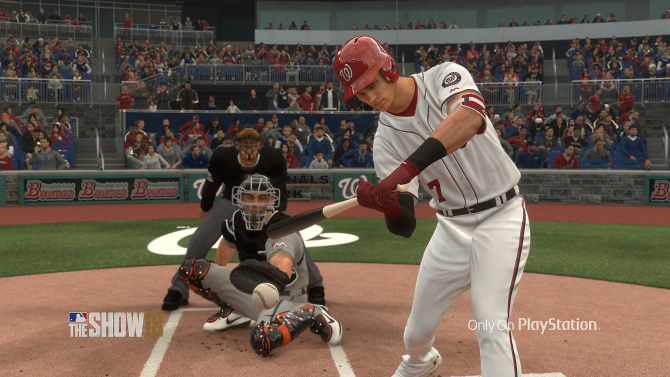 As we get closer to MLB The Show 18‘s launch, we are learning — and getting some video proof — of the cooler features that the game boosts. Aside from the three-inning games, the Retro Mode was highlighted just days ago in a new video. Not only that, but on of the biggest gripes for the series (nay, the sports genre as a whole) is the often repetitive commentary and stadium atmosphere, and that is being addressed on a few different levels.